I wanted to go over something that makes me squeamish every time I hear that: Artificial Sweeteners. Ahh! Just the sound of it makes me cringe. This is because I knew since day one that when people start knowing years and years and decades back that sugar would store as fat and force you to gain weight that they would turn to the fake stuff. There is one problem with this. That is that artificial sweeteners like Sweet n Low are horrible for you. I mean that back of that package even said caused damage and death to lab rats in red writing. Can that be good for a human? Um…No! But one of the great ways to change this is to add honey to your diet. Most people think honey is just like sugar but its not. Your body doesn’t store honey as fat in fact it uses it moreso as energy which is why its great to give your kids. Here’s a list of 3 reasons why honey can be so great to add to your diet in the future. As I was just saying honey is so healthy and can be put in beverages to sweeten them up like in teas, but it can also be used to sweeten up cooking dishes. I don’t know if you watch the cooking channel religiously like I do. But super-chef of Southwestern cooking, Bobby Flay, uses honey in just about every grilling sauce because it’s sweet and thickens up the sauce as well. And it really does work. But moreso, it is full of complex sugars, complex carbohydrates (which are different than regular carbs, vitamins, minerals, amino acids, and antioxidants. One common questions I always get asked is: Since honey is a type of sugar and contains calories, doesn’t it cause weight gain? This is a reasonable concern. Honey is calorie-rich and contains simple sugars such as glucose and fructose. In fact, it contains more calories than table sugar. But these are not bad calories. Because not all calories are stored the same. According to Dr. David Baer of the USDA Agriculture Research Service, our body put up with honey better than table sugar. Eating honey is also far more valuable for people with diabetic conditions because it is less likely to cause a blood sugar spike. Another 2004 study conducted by the University of California found that eating 4 to 10 tablespoons of buckwheat honey per day for one month did not cause weight gain. Let’s be honest. A lot of the reasons why I blog is to promote overall health for you and your family and children. It’s very important to stay healthy so you can really just enjoy life. 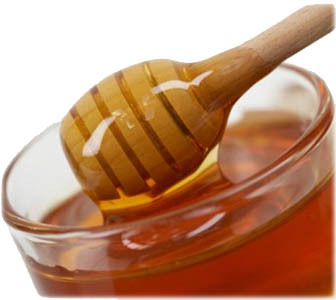 Well honey is something you need to slowly add to your diet believe it or not because it’s is known to improve the sleep quality of both the coughing child and in turn the child’s parents. One of the ways like I was saying before is to add honey in sauces you make for dinner to sweeten your meals up or help cut down on some heat that you might have in your dishes. Another way is adding honey to your teas and I wrote lots of posts that share why green and especially white teas are so high in nutrition and antioxidants for you so adding honey just compounds that health benefits of that. Lastly, I’d suggest adding some honey to sweeten up some whey protein recipes. No doubt whey is one of the best ingredients that you should be using to supplement your daily diet. Partially because it’s the number one protein on the planet, but also because it’s jam-packed with everything your body needs to function at an optimal level: vitamins, minerals, amino acids, enzymes, and Glutathione – the number one protein on the planet that are bodies are actually deficient of. Go here and read up about the amazing benefits of what you get with the best organic whey protein powder out on the market right now and our pick for number one after lots and lots of research. Not all whey proteins are the same and we finally dwindled them down to the two best isolate and concentrate. Hope you enjoyed the post! Cheers.